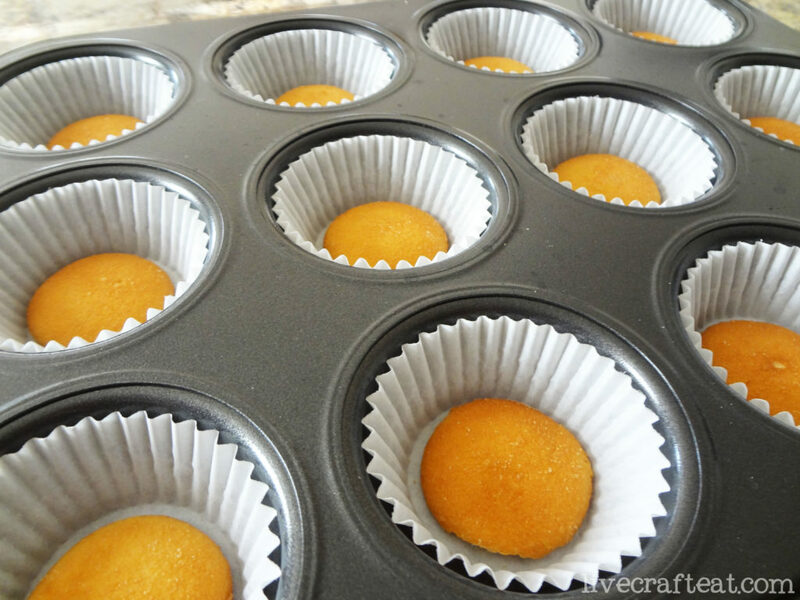 1. place a nilla wafer in each of 12 medium-sized muffin liners, flat side down. 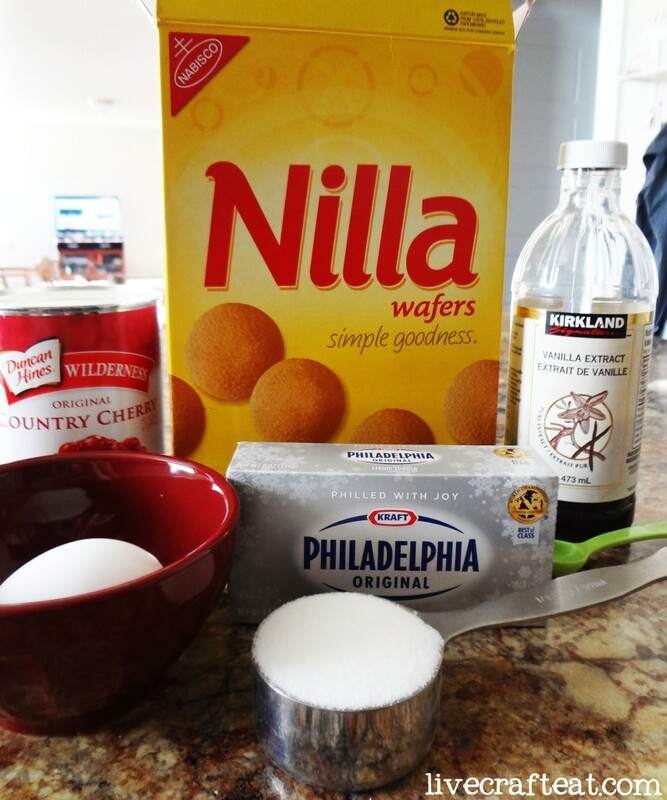 2. next, mix together the cream cheese, sugar, egg, and vanilla. 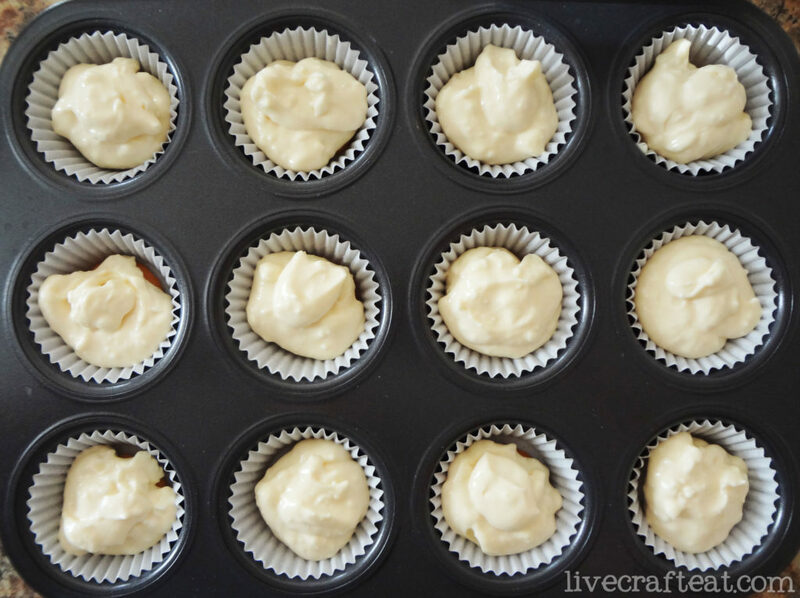 3. distribute cream cheese mixture evenly among the 12 muffin cups. 5. let them cool down. you can put them all on a plate and let them cool in the fridge if you want it done faster. note: if my mom is making a ton of these for an event, i know she freezes them at this stage. when she’s ready to use them, she pulls them out of the freezer and puts the topping on. they’ll be thawed/ready to eat by the time guests arrive. 6. the last thing you need to do, once they’ve cooled off, is to add on your favorite topping – my mom always uses either cherry or blueberry pie filling. those two also happen to be my favorites. 7. keep chilled. they always taste better and have a better texture that way. oh, just look how cute they are! 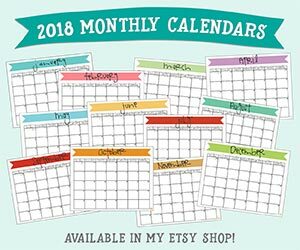 and they’re simple to make, right?! hope you enjoy them! 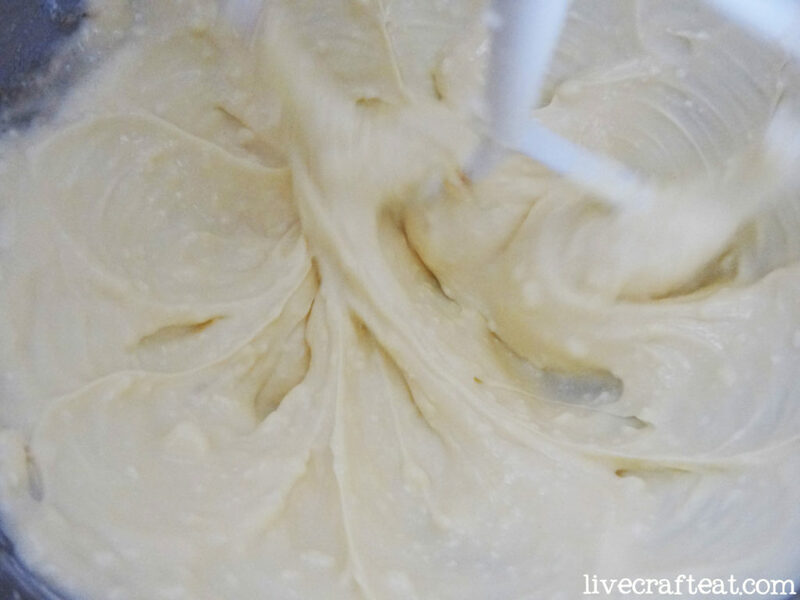 blend the cream cheese, sugar, vanilla, and egg until smooth. 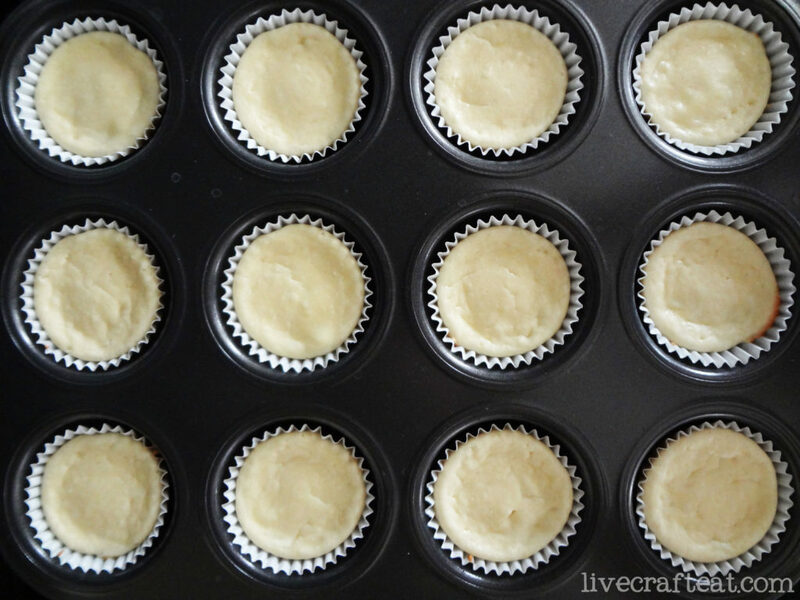 place 12 medium-sized muffin liners in a muffin pan. place a vanilla wafer in each liner (flat side down). 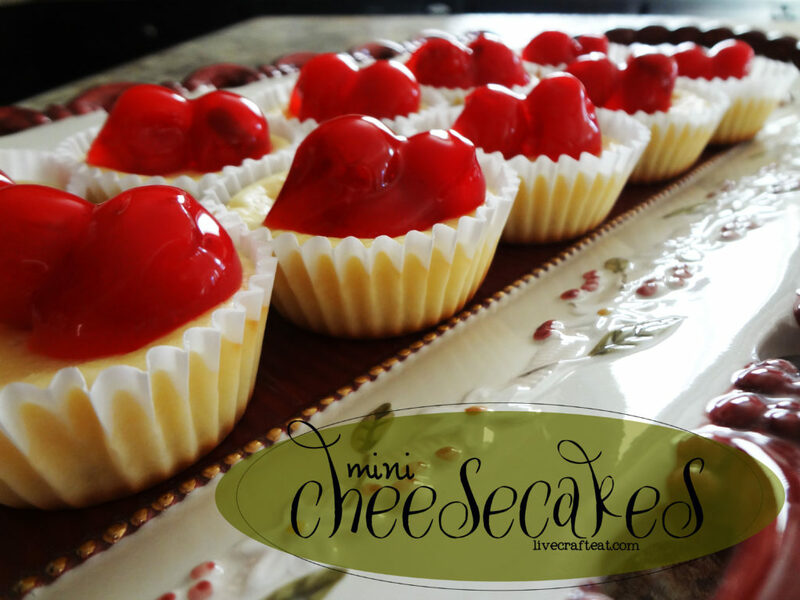 distribute cream cheese mixture evenly among the 12 muffin cups. bake at 325 for 25 minutes. 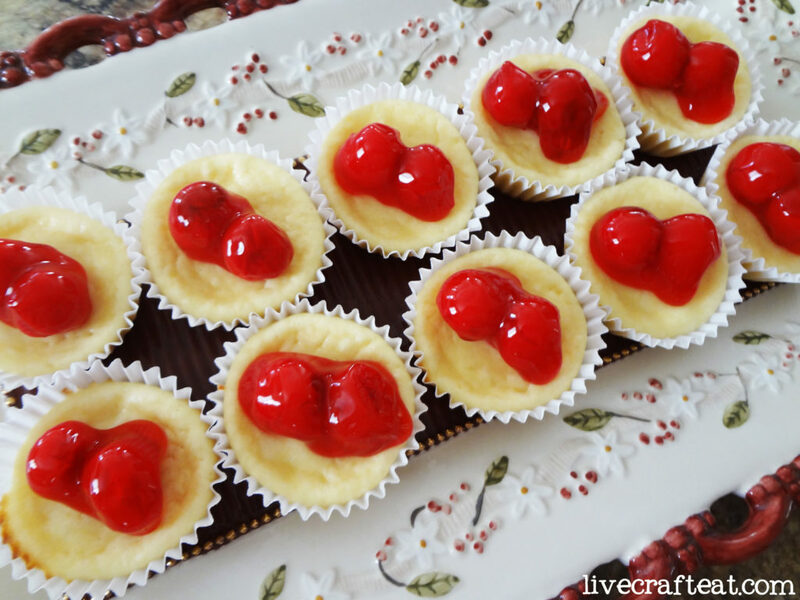 let cook and top with cherry or blueberry pie filling. keep chilled. they sure do look good, don’t they!! and they sure tasted good!! Well, I just found our dessert for Christmas Eve. 🙂 These are darling. I cannot wait to try these out. Thanks for the recipe! as soon as I saw the picture I thought oh boy those look familiar and my mouth started to water!! mmmmm…..
Love these and now I have the recipe!! Oh the homesickness! 🙂 And the generic vanilla wafers are too big to fit in the muffin cups, FYI! Love these. Need to make soon!